We'd like to welcome Jeff Hughes to the Brick Road family! Hughes Dental Handpiece Repair specializes in high / low speed dental handpiece refurbishing and repair, providing great service to dentists nationwide. Brick Road will be helping Jeff compete a lot better in the search engines for his main services in the coming months. 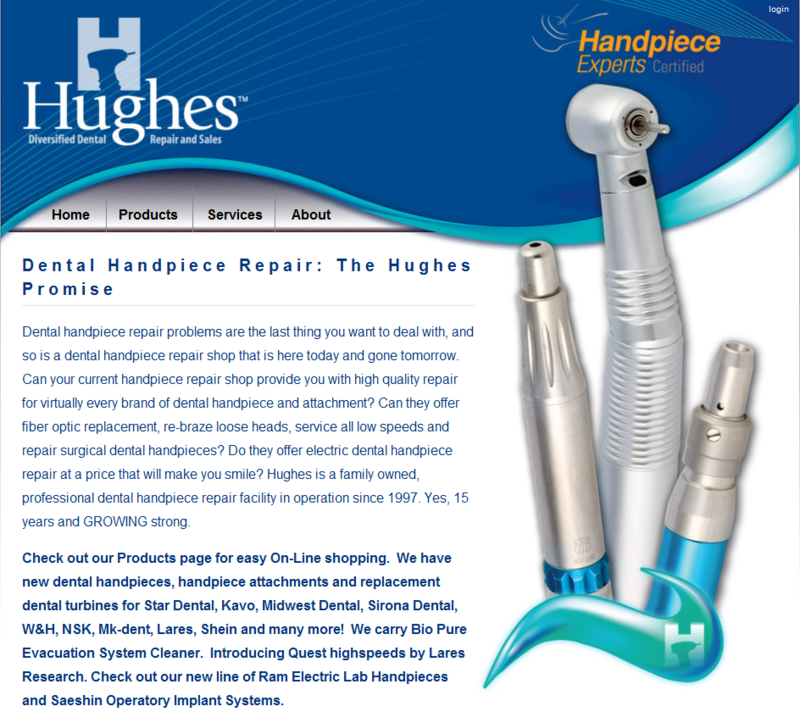 We'll publish a case study for Hughes Dental Repair to show the results we get for our SEO clients.